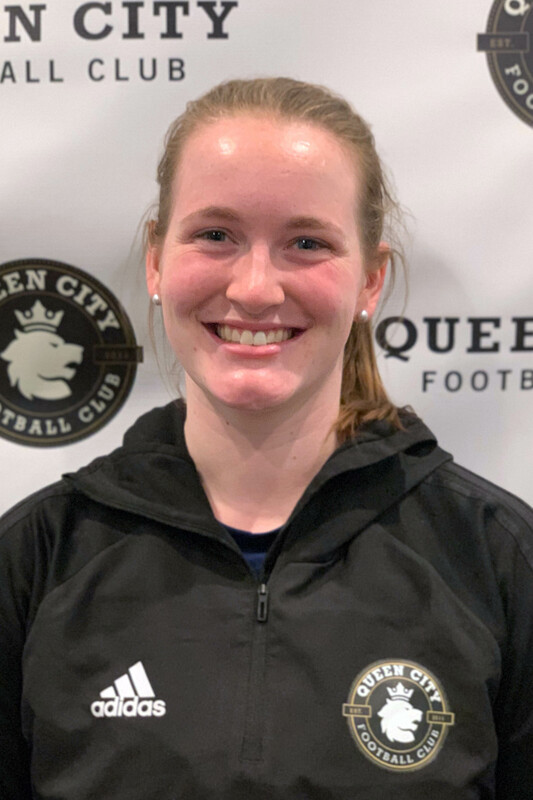 Kaylee Sullivan began coaching with Queen City FC in 2015 during her senior year at St. Michael’s College, where she was a four-year goalkeeper for the NCAA Division II Purple Knights. She currently serves as the girls varsity assistant coach at Rice Memorial High School. She has coached a number of age groups on the girls side, and will be leading a U12 team this spring as well as assisting with the a couple of the older girls teams. An East Greenwich, RI native, Sullivan has coached goalkeepers and players from across New England throughout her coaching career. As a player, Kaylee was a graduate and member of the soccer, softball and basketball teams at East Greenwich High School in Rhode Island. She earned the Rhode Island Girls Soccer Coaches Association's Sportsmanship Award during her junior and senior years. She competed on the several teams during her club career in Rhode Island, most notably, Bruno United FC. Additionally, she played on the Rhode Island Division II softball state championship team as a junior.